For the past few years, I’ve shared about how you can support others through the World Vision Gift Catalog. This organization is poised to help so many people and what seems like a modest gift to us goes a LONG way helping another person. Why not consider purchasing a lovely holiday gift from 2015 World Vision Gift Catalog the instead of the typical gift card? World Vision is a Christian humanitarian organization dedicated to working with children, families, and their communities worldwide to reach their full potential by tackling the causes of poverty and injustice. This organization does not just seek out far away lands, but has avenues for supporting the less fortunate in the United States as well. They have some truly lovely items available which not only bring joy to a friend or loved one when given, but help meet basic needs of someone you’ve never met. The money raised from your purchase of these hand-crafted gifts goes to the Where Most Needed fund, which supports a variety of World Vision’s programs around the world. I was sent a Balinese Multi-Strand Necklace to review and am in love with it! 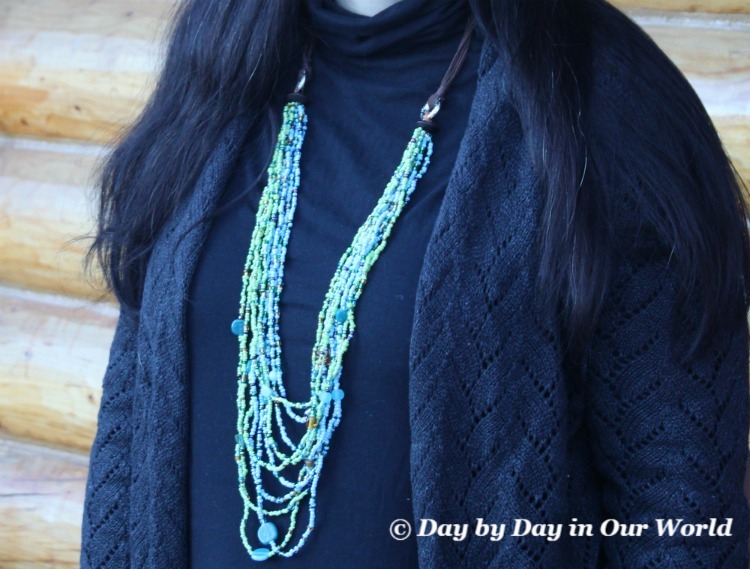 The beads have so many gorgeous colors and it just pops when put against a solid color top. I am wearing a black turtleneck from Kohl’s and a heather gray sweater which I purchased at Costco last season. This will be gorgeous for date night or just because you want to feel special. 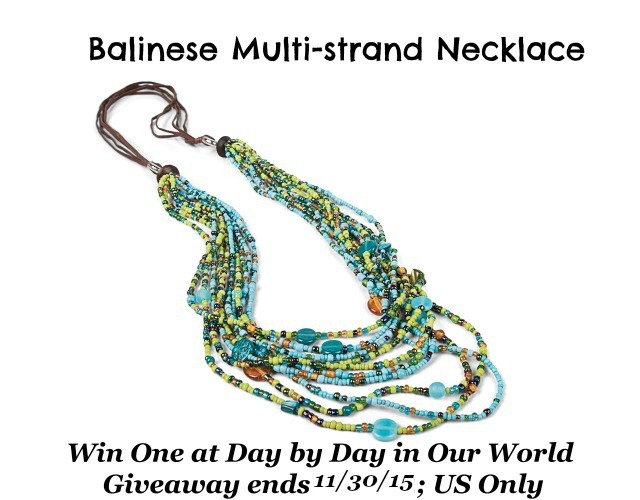 One of my lucky readers will get to win their own Balinese Multi-Strand Necklace to keep and enjoy year round (or use it as a gift for a loved one this holiday season. Entries are accepted in the Gleam form below by November 30, 2015. Open to US mailing addresses only. Have you ever purchased a gift from the World Vision Gift Catalog? What would you choose to purchase to help others who are in need? This giveaway is part of the Super Stocking Stuffer Giveaway hop sponsored by The Mommy Island & The Kids Did It . Scroll through the links below to find a lot of other neat giveaways to enter, all ending on November 30th at 11:59 p.m. This necklace it beautiful! I would probably give it to my mom, if I'm not to tempted to keep it for myself. The silver vines cuff it beautiful as well. I would give this to my grandma, she would love it. I would gift this beautiful piece to my beautiful daughter-in-law. My daughter wold love this necklace. I would give this necklace to my sister if I won. I absolutely love this necklace, and recently got some new clothes. I think I'd keep it for myself! I would be very tempted to keep the necklace because it is so beautiful but I would end up giving it to my sister. She would absolutely love it! I would give this beautiful necklace to my beautiful sister. It would look amazing on her because it would match her eyes! I would give this necklace to my mom! She loves jewelry like this so I know this would be a hit with her! Thanks so much for the opportunity! I like the Vietnamese Tote and this would be for my sister. Thanks for the chance! I would give this to my mom she would love it. She accessorizes more than I do. I would love the hand carved wooden serving spoons to gift to my mother. I would keep the necklace for myself. I can see it with my favorite jeans and a tee and well as dressed up with my favorite dress. I would give this to my best friend Steps. That's my pet name for her. I would give the Balinese Multi-Strand Necklace to my grandma. If I won I would give the necklace to my granddaughter. I would keep this for myself. It is beautiful! I would purchase the Prosperity Cinnamon. I would give the necklace to my sister because it fits her style perfectly. Thank you for the giveaway. I'd give the beautiful necklace to my sister. I would keep the necklace for myself, it is lovely. 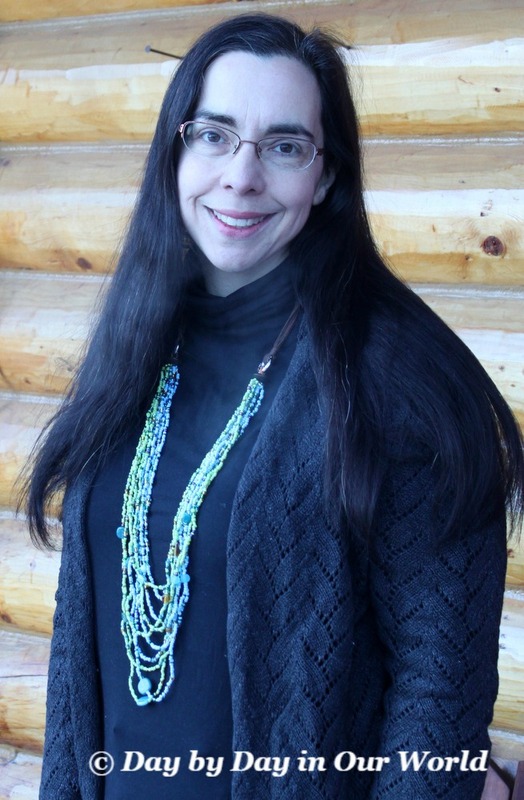 I would love to give the Drops of Turquoise necklace to my sister-in-law. If I would win this, it would be a gift to myself. This necklace s perfect for my aunt! It is totally her style. I would give it to my best friend as the colors would go perfectly with her predominant clothes colors. I really like the Capiz Shell Coasters. Thanks for the compliment, Ada. I'm glad you found my blog, too. If you love accessories, make sure to come back around Thanksgiving as I'll have a new fashion post with an accessory bundle as a giveaway. And there is a jewelry giveaway coming up this next month. I would give the necklace to my cousin. I would give this to my mom...she would love it! Happy to do so, Nicole! I've got a new post going live on Wednesday full of fun items that I'll make sure to link up come Thursday morning. I would love to give the necklace to my mom for Christmas. I might gift this beautiful necklace to my mom! I would love this necklace for my daughter. I would be so tempted to keep this for myself - it's so beautiful! But I think I would give it to my mom. My sister would love this necklace. I would give this beautiful necklace to my daughter, her birthday is in January. This necklace is beautiful. If I was lucky enough to win I would keep it and maybe even share with my daughter! If i won this i would give it to my daughter, i know she would love it!! This necklace is beautiful. If I won, I would gift this to my mom. She loves stylish jewelry like this! If I win I would give the necklace to my daughter. I'd give the necklace to my DIL. So great to see a company give back to those in need..